Equalize your use of IQ and EQ next week. Your people don’t want to be made to feel stupid, but they don’t want to just get hugs either. Balance intellectual rigor and emotional ease. One way to practice intellectual rigor is to ask for evidence. Where does it show up? How much? And what should it be? One way to practice emotional ease is to give equal weight to opposite points of view. If X is true, that should make 1/X true too. 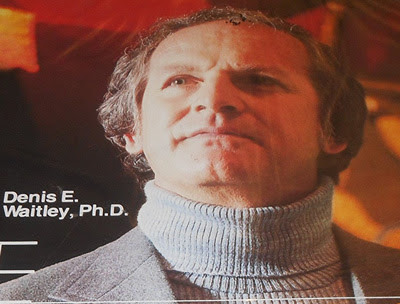 It’s not a technique, but every time I think of IQ and EQ, it reminds me of Dr. Dennis Waitley, “psyco – the mind, and soma – the body. Am I happy because I smile or do I smile because I’m happy?” Mostly it reminds me of his turtleneck. Last Sunday, I participated in a graduation ceremony for Defy Ventures’ inagural graduating class at the Omaha Correctional Center. If you remember, Defy Ventures is a non-profit working with prisons to reduce the recidivism rate introduced to me by my friend Jeremy Bouman, the Nebraska director. It’s a rigorous program, of the 60 that started, only 20 graduated. The graduates study intensive leadership development, participate in pitching business plans, get executive mentoring, qualify for financial investment, and basically learn how to overcome the stigma that comes from being primarily known for the worst thing they’ve ever done. Human beings are resilient creatures but occasionally we need to be reminded that we can overcome impossible odds to succeed. It’s very moving to experience it firsthand. Next week, take on an impossible task. I have a good feeling about it. The Getting New Clients workshop at Lambeau Field is generating a fair share of logistical issues. I’m thinking we’ll hold it in Milwaukee and charter a bus up to the big game. Who knew that hotels would be hard to come by in Green Bush? I will have a page and form up soon. Swear.